We know how to move brands. We're the best in the business when it comes to rolling out fresh outdoor campaigns! Be remembered in the minds of city users with a campaign that has longevity and frequency at a fraction of the cost of what our competition offers. 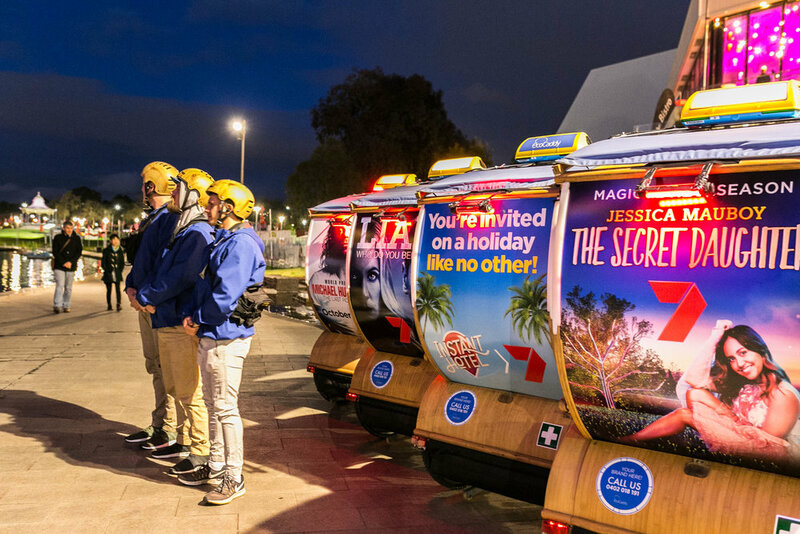 Create custom experiential "free ride" campaigns that delight and surprise your target audiences and leverage the huge reach and frequency of crowds around major events. 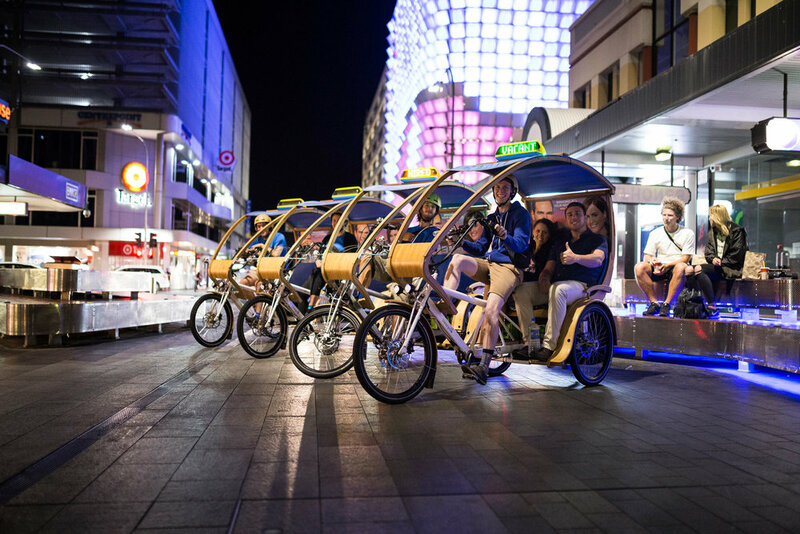 Grab the attention of millions of eyes as they head out for late night shopping and frequent night venues in and around the city. Why choose our marketing platform? We offer a unique dual platform that mixes transport and marketing. Highly trained local brand ambassadors spread your story effectively through word-of-mouth. Our evocative & eye-catching EcoCaddies move your brand's message. Our advertising services are zero-emissions and environmentally friendly. Click the images below to learn more about our advertising solutions. "The EcoCaddy team nailed it -10/10 from me! Such a brilliant campaign, BOOM!" 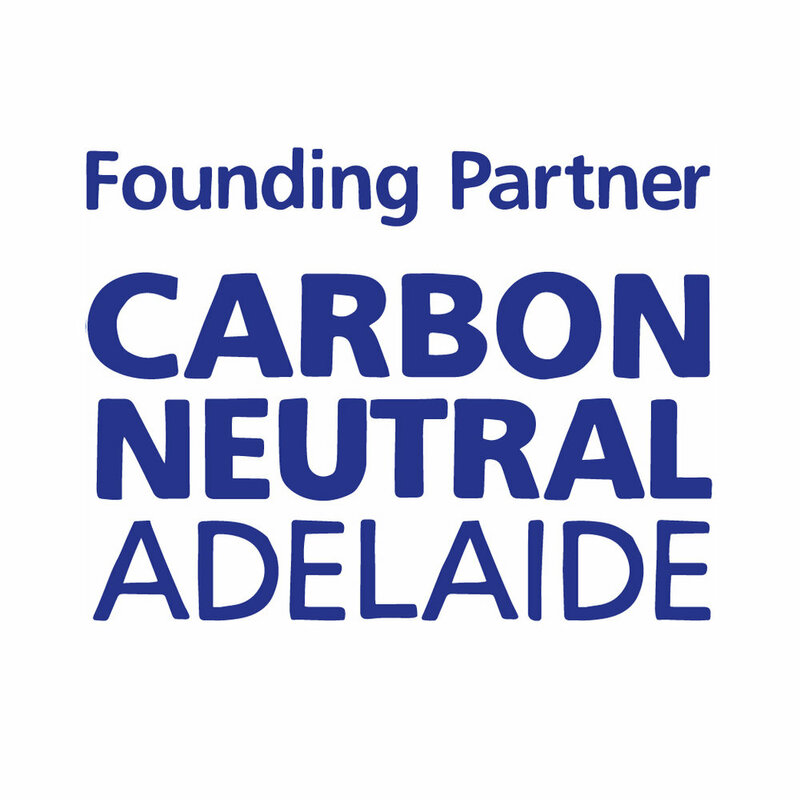 "We have had unbelievable feedback from our customers that used EcoCaddy during our campaign - you guys were the highlight of the night!" "We had a great experience working with EcoCaddy. 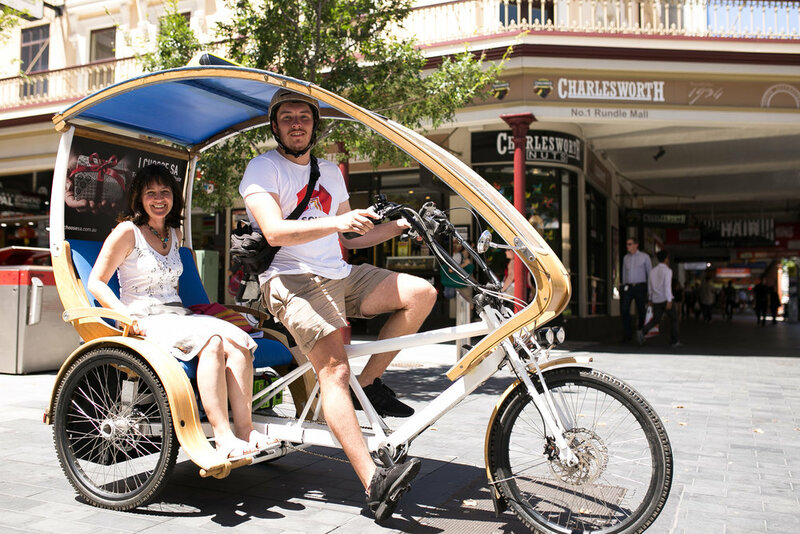 I think the EcoCaddy brand has great associations in Adelaide, the locals love it!"